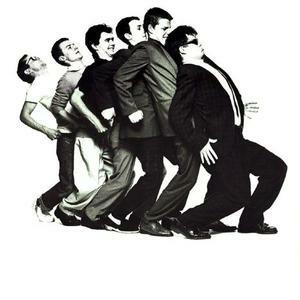 1) Madness are a pop/ska band from Camden Town, London, England that formed in 1976. As of 2007, the band has continued to perform with their most recognised lineup of seven members, although it's varied slightly over the years. They were one of the most prominent bands of the late-70s 2 tone ska revival. However, as their career progressed, the band moved away from ska & closer toward conventional pop music. Madness achieved most of their success in the 80s. Madness spent exactly 214 weeks on the UK singles charts from 1980-89, thereby sharing the record for most weeks spent by a group in the 80s UK singles charts, with UB40. The core of the band formed as The North London Invaders in 1976, and included Mike Barson (Monsieur Barso) on keyboards and vocals, Chris Foreman (Chrissy Boy) on guitar and Lee Thompson (Kix) on saxophone and vocals. They later recruited John Hasler on drums and Cathal Smyth (better known as Chas Smash) on bass guitar. Later in the year, they were joined by lead vocalist "Dikron". This six-piece lineup lasted until part way through 1977, when Graham McPherson (better known as Suggs) took over the lead vocals after seeing the band perform in a friend's garden. Smyth, who was poor on bass guitar, was replaced by Gavin Rogers, an acquaintance of Barson. McPherson was kicked out of the band for too often choosing to watch football instead of rehearsing. Thompson left the band after Barson criticised his saxophone playing. In 1979, the band recorded the Lee Thompson composition "The Prince". The song, like the band's name, paid homage to their idol, Prince Buster. The song was released through 2 Tone Records, the label of The Specials founder Jerry Dammers. The song was a surprise hit, peaking in the UK music charts at #16. A performance of "The Prince" on popular UK music show Top of the Pops helped Madness gain public recognition. Madness then toured with fellow 2 Tone bands The Specials and The Selecter, before recording their debut album, One Step Beyond..., which was released by Stiff Records. The album included a re-recording of "The Prince" and the band's second and third singles: "One Step Beyond" and "My Girl". The title song was a cover of the B-side of the 1960s Prince Buster hit "Al Capone". One Step Beyond... stayed in the British charts for over a year, peaking at #2. After the release of "My Girl", the band felt that they had exhausted the material from One Step Beyond..., and did not want to release any more singles from the album. However, Dave Robinson, head of Stiff Records, disagreed. Eventually, a compromise was made, and the band decided to release an EP featuring one album track and three new tracks. The result was the Work Rest and Play EP, which was headlined by the song "Night Boat to Cairo", from the One Step Beyond album. The EP reached #6 in the UK singles chart. In 1981, the band's third studio album, 7 reached #5 in the UK album charts and contained three hit singles. In an article in 1979, Chris Foreman explained that the band's music would move with the times, and change styles as time goes on. This was shown to be the case, as unlike the two ska-filled, fast-paced albums that preceded it, 7 was somewhat of a change in direction. Suggs' vocal performance changed significantly, and his strong Cockney accent from the previous albums had been watered down. The album strayed from the ska-influenced sound of One Step Beyond... and Absolutely, and moved towards a more conventional and mature pop sound; a trend that continued with subsequent albums. Near the end of 1981, Madness released one of their most recognised songs; a remake of Labi Siffre's 1971 hit "It Must Be Love". The song climbed to #4 in the UK and entered the US charts at #33. In 1982, Madness released their only #1 hit to date, "House of Fun"; as well as their fourth studio album The Rise & Fall. The album contained their most internationally successful single to date, "Our House", which reached #5 in the UK music charts and # 7 in the US charts. In 1983, their single "Wings of a Dove" peaked at #2 in the UK charts. Their following album, Keep Moving, peaked at #6 in the UK album charts, and several singles from that album reached the top 20 in the UK music charts. The band then attempted to record a new album, and 11 demo tracks were recorded. However, musical differences arose between band members, and in September 1986, the band announced that they were to split. Barson rejoined the band for a farewell single, "(Waiting For) The Ghost Train", but did not appear in the music video. The band officially split following the release of the single, which reached a high of #18 in the UK. In 1988, four members of the band ? Suggs, Chas Smash, Lee Thompson and Chris Foreman ? created a new band, using the name The Madness. After one self-titled album and two singles that failed to make the the top 40, the band split. Early in their career, Madness were linked to skinheads; members of a British working class subculture that the media often stereotyped as racist (although many skinheads are anti-racist). Not only were Madness, along with other 2 Tone bands, popular with skinheads, but it was said that the band members themselves were associated with the subculture. The band's relationship with the skinheads varied at times. Mike Barson was particularly displeased with the band's skinhead following, often finding it disappointing that so many were present at performances. Prior to becoming a full member of the band, Chas Smash had been involved in fights with skinheads at performances. In one particular incident on November 18, 1979, Madness were supported by "Red Beans and Rice", who featured a black lead singer, and the band were prevented from completing the performance due to the racist chants from certain members of the skinhead filled audience. Suggs later came on stage to show his displeasure at their behaviour, but this didn't stop much of the audience from Nazi saluting at the end of the show. In a 1979 NME interview, Madness member Chas Smash was quoted as saying "We don't care if people are in the NF as long as they're having a good time." This added to speculation that Madness was a racist band supporting the National Front, although the band members denied those allegations, and Chas Smash responded to the NME article in the song "Don't Quote Me On That". Eventually, band members denied their skinhead roots, which disappointed much of their skinhead fan base. The band's first notable musical award came in 1983 when they won an "Ivor Novello Award" for Best Song for the international hit "Our House". They recieved another "Ivor Novello Award" 17 years later for an "Outstanding Song Collection". In 2005, they were awarded the Mojo Magazine "Hall Of Fame" award, notably for being 'an artist's artist'. As of 2007, a campaign is taking place by fans of Madness for the band to be awarded a Brit award. Many fans and critics feel they have been overlooked over their past 30 years in the music industry. 2) Madness is also a rapper from Florida. He has competed in many Grindtime Rap Battle events and is featured on the Fresh Coast Perishables Volume One along with his own albums.